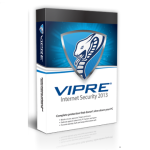 In this post I will be covering some of my experiences with the VIPRE Internet Security software suite. I started out by checking the VIPRE product webpage and found that they require an email address in order to download the free 30 day trial. I submitted my email address and then immediately received an email from GFI software (the manufacturer) asking me to confirm my email address in order to download the trial software. I clicked on the link to confirm my email address and was taken to a software download page. During this process, GFI software also asks you if you’d like to receive additional emails from them. I downloaded the executable and then proceeded to install the software. VIPRE Internet Security automatically detected that my notebook PC running Windows 7 had Microsoft Security Essentials installed. It informed me that this software would need to be removed to prevent conflicts. I then gave VIPRE software the permission to remove the Security Essentials software for me and it uninstalled the program. Afterwards, VIPRE software notified me that I needed to restart my computer in order to complete the installation. After rebooting, the installation continued. Below, you can view one of the many VIPRE installation screens presented during the install process. Once this initial installation process came to an end, VIPRE notified me that I would need to reboot the machine in order to finalize the installation. I rebooted and then VIPRE Internet Security was fully functional on my PC. I really liked that VIPRE detects existing security software on a PC that could be conflicting, and is able to then uninstall it for the end user at the correct time. Often times when you are switching to a new Antivirus or another security product, it is unclear when you need to uninstall the old product, which could cause installation issues or leave your PC in an unprotected status, if even for a short while. VIPRE handles this part of the process very smoothly. I also like the visuals of VIPRE Internet Security software. The screens that make up the user interface and the feature selection areas are well organized, easy to browse through and they make it a breeze to locate options that you might be looking for. Those who are looking for a comprehensive security solution will be happy to see that VIPRE provides just about all the security functions that one could hope for. This suite of software includes; Active Protection (real time scanning of new files and objects for viruses and other malware), automated full system antivirus scanning on a schedule, automatic updating, a firewall, detailed usage reporting and logging, a secure file eraser, a browser history cleaner and a PC explorer to find hidden files. Give VIPRE Internet Security a try yourself by taking advantage of the 30 day free trial. For more information, visit vipreantivirus.com or click on the Sponsor button below. UPDATE: After running VIPRE Internet Security for a few days, I had to uninstall it. The VIPRE software was bringing my Acer Aspire 1410 laptop (Dual Core 1.2GHz Intel SU2300 CPU, 4GB of RAM) running Windows 7 to a crawl and constantly spiking CPU and memory.